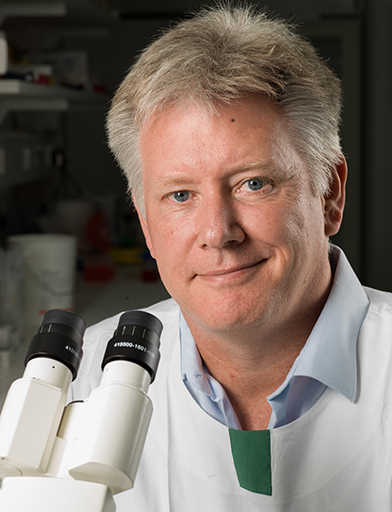 Mark Smyth is the most highly cited immunologist in Australia and is recognised for his significant contributions to tumour immunology. He has shown that tumours can be recognised by the immune system, by examining the consequences of selective removal of components of the immune system. He has demonstrated that immune selection occurs to favour the outgrowth of tumour variants that are less immunogenic (‘immunoedited’). This research has helped pave the way for effective immunotherapy of cancer, beginning with immune checkpoint inhibitor drugs. Smyth has also made substantial contributions to our understanding of natural killer (NK) cell and NKT cell biology.